Authentic leadership is built on your character, not your style: According to George, these leaders must have flexible styles to be able to fill different role at different times—coach, mentor and inspiring others who must work with a minimum of management guidance. Example: He/s has to “stay on message” in any discussions of mission, vision and values. This is especially important when the economic environment is turbulent. Because nonprofit boards must draw their candidates from a broad base of backgrounds, any board, in my opinion, can only hope to have three or four board members who can be authentic leaders and eventually fill the board chair position. Often professionals, such as physicians, professors and lawyers, as independent contributors, can lack leadership and strategic insights. Consequently, the CEO must contribute these insights when such a knowledge gap exists on the board in relation to strategy. Several nonprofit boards I have recently encountered, mainly composed of mid-level managers and independent professionals have lacked a single board member with any strategic background. Results: The strategic plan consisted of a broad-brush “strengths, weaknesses, opportunities and threats” (SWOT) analysis. Hardly a valuable planning document for the 21st century. In terms of management selection, boards need to seek those who can make the hard decisions such as CEO termination and/or having to implement a board decision that is vigorously opposed by a small minority. But the leader must still remain an authentic person, even under these difficult circumstances. Example: One CEO I encountered had the amazing ability of being able to fire a subordinate but still maintain good interpersonal relations with the person—an amazing interpersonal managerial talent, indicating an authentic leader. Authentic leaders are real and genuine. A nonprofit board member can be a distant personality to the management and staff. 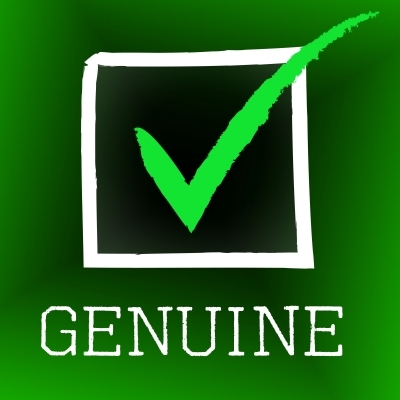 Only a crisis may determine the level of authenticity of his or her leadership style. But board members in working with management and staff on projects and in social contacts need to show that they are flexible and fair persons in their decision processes. Nonprofits are somewhat different from for-profits because the staff can be only two organizational levels below the board. Consequently staff members monitor board changes closely because they know a new strong personality can impact their futures and working conditions. Example: Two professors persuaded their board colleagues to adopt an overly detailed Management by Objectives program. It stressed the staff to spend a huge amount of time reviewing and assessing objectives, instead of client center work. One way to view these characteristics is in the evaluation process of the CEO and organization. The process must be unscrupulously rigorous but fair to all concerned. (Example: see http://bit.ly/OvF4ri) Otherwise the management and staff will view the board as a distant body, only dedicated to financial results. Organizational morale will be impacted. Authentic leaders match their behavior to their context. Often they may have modest Intelligence Levels (IQ) levels but they have very high Emotional Intelligence (EQ), providing them with outstanding people skills. They can quickly recognize interpersonal challenges around them, and they provide moderating solutions. Many are described as not being quick to anger. Most importantly in the nonprofit board situation, they can empathize with board, management and staff problems, even though their full-time occupations are outside the organization’s mission arena. Authentic leaders are not perfect, nor do they try to be. Nobody does his/h job perfectly, and authentic nonprofit board leaders are quick to accept this reality for themselves and others around them, as long they as subordinates are not continually making leadership judgments errors. They know from experience that leaders can learn from their mistakes and become better leaders. Authentic leaders are frequently chosen today for the key roles in business and nonprofits, according to William George. In an era when nonprofits are being challenged by budget cuts and a surplus of unfulfilled client needs, it behooves board nominations and CEO search committees to review the above list of behaviors as they seek news board members of a CEO. Those who are fortunate to engage these leaders, in turn, should improve board and staff performance–“A” players hire “A” players. 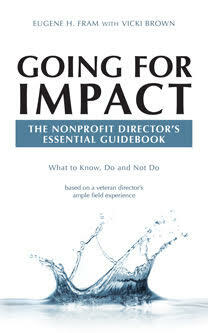 ← Time-Compressed Non Profit Directors – Recruit & Retain Them!